Work on this tiny house began in November and it should be complete by May of 2017. 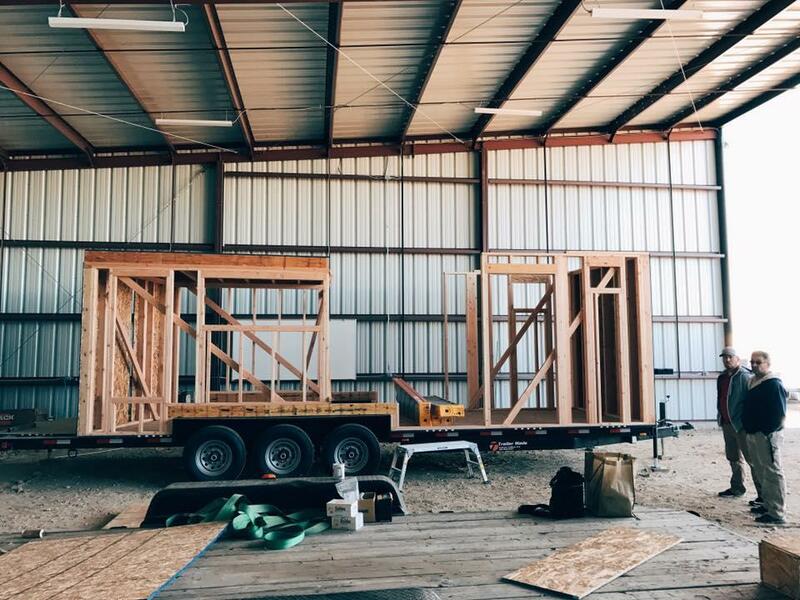 A group of 10 high school students are learning building techniques as they put together a tiny house in Wilder. As Samantha Wright reports, a partnership designed to teach kids new skills is behind the project. The COSSA Regional Technology and Education Center is a consortium of five school districts. Students (from grades 7-12) from Homedale, Marsing, Notus, Parma and Wilder take academic and professional-technical classes there. They’ve teamed up with Metro Community Services, a nonprofit that helps the elderly, disabled and people struggling financially, to build a tiny house. Rick Ray is the Residential Building Trades teacher at COSSA. He says the tiny house project was a perfect opportunity because his students can learn the basics of all the different phases of residential construction in a year. “So the kids are going to get to learn how to frame and how to put siding on a house and they’ll be involved in the electrical and plumbing portion. So they learn pretty much all the phases of how to build a house,” says Ray. Ray says the kids can use that knowledge to start careers when they get out of high school. He likes the project so much that he’s hoping to build a tiny house every year with his students. “It was a perfect opportunity for us,” says Ray. The lead designer from the TV show “Tiny House Nation” created the blueprints for the home, which should be complete by May. The house will stand on a 28-foot trailer and will include a loft, a kitchen and two outside decks. When it's complete, the tiny house will be auctioned off and the proceeds will go to Metro Community Services. The house Shaun Wheeler is standing in can only be described as tiny. 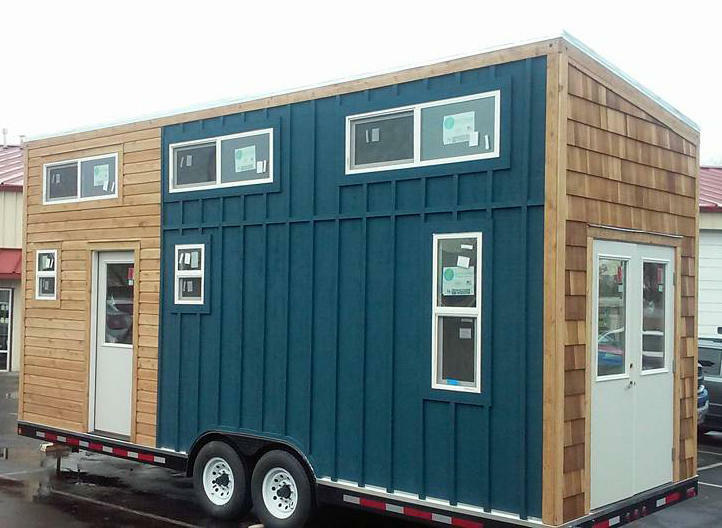 It’s 310 square feet, half the size of a semi trailer. He designed and built it from the ground up. When it’s done, it’ll have everything a normal house has, in a fraction of the space. Wheeler owns Wheeler Homes, and builds tiny houses. He used to build typical homes, even mansions in Sun Valley. But after going to college, his mentality about housing changed.